In 2014 Nordic Choice Hotels acquired Swedbank’s former headquarters on Stockholm’s Brunkebergstorg. In collaboration with award-winning architecture firm Studio Aisslinger, Hobo opened its doors in March 2017 – Stockholm’s first truly hometown-inspired lifestyle hotel. With over 150 hotels within an area of 186 square kilometers, the city of Stockholm has no shortage of living options for travelers. How will Hobo set itself apart within this saturated landscape? Of Stockholm’s 150+ hotels, not one meaningfully connects today’s creative-minded travelers to the dynamic life and trends that the city is known for. Most hotels attempt to appeal to travelers by unnaturally emulating other city hotels like those of New York and London. The true Stockholmer’s hotel is long overdue. Not having to look far, we sought inspiration right from our backyard. Identity Works worked alongside Studio Aisslinger to create a hotel brand experience that digs out and celebrates beloved spots, music, design and other things of local interest. 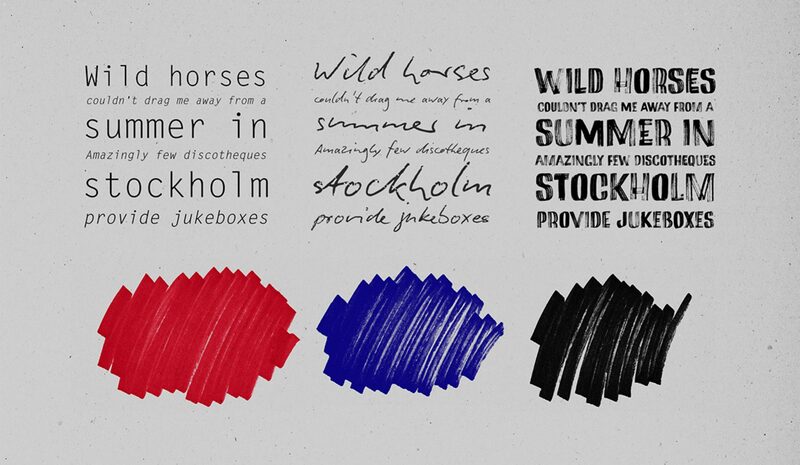 The result is a unique and homegrown community that unlocks Stockholm to the curious visitor. In our illustrations we pick up the ball-point character from the typography. 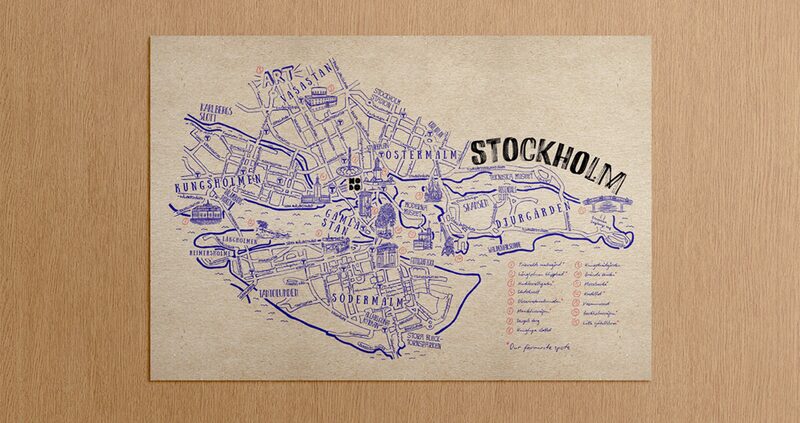 In example we in the illustrated Stockholm map share our personal tips with little scribbled notes. The graphic identity for HOBO was awarded Gold in the 2017 Svenska Designpriset (The Swedish Design-award). We are of course very proud!